The United States is filled with great vacation destinations for the entire family, and there are many different ways you can enjoy these fun places to visit. The most common choice for accommodations is to stay in hotels along the way until you arrive at your main destination and the hotel of your choice. But there are other options you can explore when traveling around the United States that can offer you accommodations that are as comfortable as a hotel. There is a wide variety of vacation rental homes in the United States that you and your family can choose from for your next vacation. You can choose a vacation house in the woods, or you can get one in the mountains that allows you to enjoy that crisp mountain air. There are corporations with large vacation villages where you can rent homes, or you can try the local renters who will give you an experience that is closer to what you have at home. If you want the home experience on vacation without paying to rent an entire home, then you can rent a room in a home by going to a bed and breakfast. These types of businesses are popping up all over the country, and they are the only accommodations available in the more rural regions. A bed and breakfast is set up like a hotel, except that the room looks like a real bedroom and many businesses include a full breakfast with the cost of a room. The cross between renting a vacation home and staying in a bed and breakfast is renting a real private home. This is another growing industry around the country where private homeowners rent their full homes to people on vacation. It is a relatively new idea, but there is a large amount of homes available to rent. Most vacationers find their private rental homes on websites that specialize in bring renters and homeowners together. When it comes time to get away from it all, you want to explore options that will allow you to be as comfortable as possible while you are away from home. 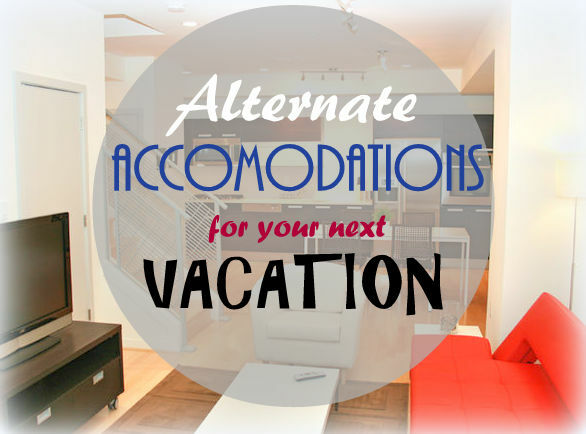 In the United States, you have several options to explore when you are making accommodations for your vacation. You can stay in a hotel, or you can try one of the many alternate accommodations available all over the country.